Having natural, healthy and well-groomed nails is a beauty goal many of us aspire to, and the good news is that with a little insider know-how from our natural nail care tips, it’s easier than you might think. With our start-from-scratch guide to giving your talons the TLC they deserve, you can create relaxing hand and nail treatments in the comfort of your own home. Who knows, it might just inspire you to study to become a professional nail technician with your very own business. With our Nail Technician Diploma Course, the future is in your hands! If you have weak, dry nails that are prone to splitting, massaging in a natural oil every day takes just minutes and will give your nails a nourishing treat. Flaxseed oil is one of the very best oils to use on nails because it is rich in the omega-3 fatty acids known to give nails a natural boost. To make your own luxurious natural nail care aromatherapy blend, mix together 2tsp of flaxseed oil with 1 drop of frankincense and 1 drop of myrrh essential oils. As well as smelling divine, frankincense and myrrh both have rejuvenating properties that will benefit the cuticles too. Applying a nail oil regularly will definitely pay off in terms of helping dehydrated or neglected cuticles but you can also try this hand scrub once a week to keep skin soft and supple. By exfoliating the hands, you will remove dead skin cells and leave the area ready to absorb any products you apply afterwards, such as hand cream, more efficiently. For a natural nail care scrub, simply stir together some ground oatmeal, clear honey and a little flaxseed oil until it forms a paste-like consistency. If you like, add a drop of soothing lavender essential oil. Rub into the hands and nails in circular motions for a couple of minutes, paying particular attention to dry areas. Rinse off then apply hand cream as usual. Do the Dishes – Yes, Really! Many of us are guilty of using our nails as tools instead of treating them like jewels! From gardening to washing up, we often expose our hands and nails to lots of drying tasks without protecting them as we should. Wearing rubber gloves when washing up can certainly help but how about turning a boring task like doing the dishes into a luxurious hand and nail treat? Our natural nail care tip is to wash and dry your hands before starting the washing up, then apply a generous layer of hand cream before popping on your washing up gloves. As you wash up, the heat from the hot water will help the cream absorb into your hands for super-soft skin. For those times when you’ve applied a dark nail polish and been in too much of a rush to bother with a base coat (we’ve all been there! ), here’s a natural nail care whitening treatment for stained, yellow nails. The acidic properties of natural lemon juice can work wonders to brighten nails and restore shine – just avoid if you have any cuts on your fingers or hands! Mix together the juice of half a lemon with some baking soda to form a paste, then use an old toothbrush to scrub the nails with the solution. 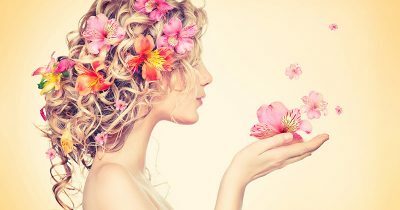 Rinse thoroughly and apply hand cream. Wash hands and remove old nail polish using an acetone-free nail polish remover. Using an emery board, file the nails to your desired shape, working in long gliding strokes from the outer side of each nail to the centre. Soak hands in a bowl of warm water to soften the skin. Add a drop of frankincense or myrrh essential oil for an aromatic treat. Dry the hands and apply a little flaxseed oil to the base of each nail and around the cuticles. Push the cuticles back very gently using a cotton bud. Spend five minutes or so massaging your hands using your favourite hand cream. We like Lavera Anti-Ageing Hand Cream with Organic Cranberry and Organic Argan Oil. Swipe over each nail with nail polish remover to remove any hand cream then (if desired) paint with two thin coats of colour, remembering to use a base coat and top coat for best results. Many aromatherapy essential oils are contraindicated for use during pregnancy and for those with certain health conditions, so always check with a qualified practitioner if you have a pre-existing medical condition. If you have a nut allergy, avoid using nut-based oils or products. 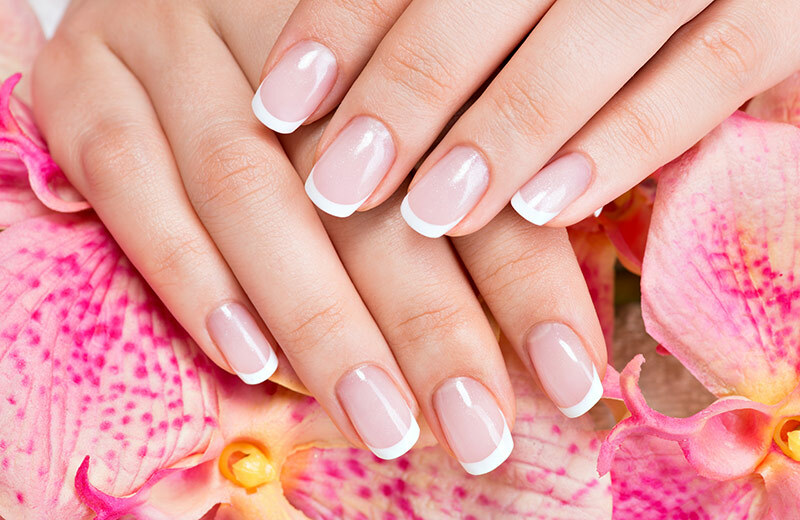 Nail Technician Diploma Course to £49. Thank you! I found this very useful and will try out these nail care tips. Glad you found the article useful, good luck making your nails happier!